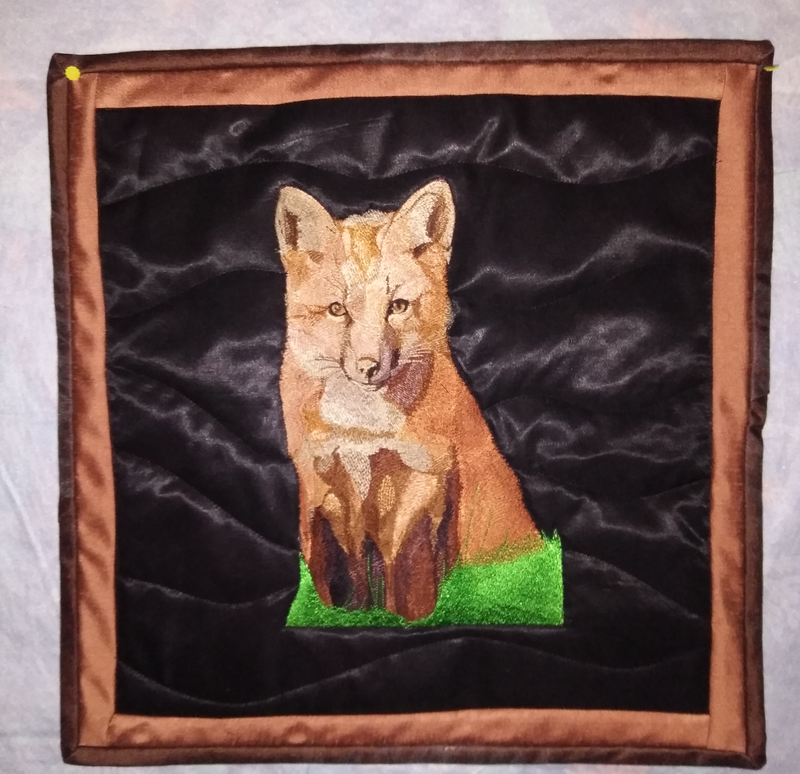 Donnely: *The little fox is done on antique satin, I had to remove the binding two times, so it is a little off kilter, but since he will be hanging on my wall I am okay with it. I did the ereader case many years ago even got a 2nd place ribbon for it at the fair. It has been well used and washed many times. thanks again for such awesome designs! Next Next post: Flamingos Anyone?